We are NYS Licensed Dietitian-Nutritionists who believe in healthy, balanced eating. We do not believe in fad diets, nor do we provide quick fixes for weight management. All the nutritionists at Nutrition 4 Life follow the same philosophy and approach with patient care, which we have been providing to our clients for over 10 years. Any of the nutritionists you will meet will follow the same treatment protocol for consistent standard of care. Sophia received her Bachelor of Science Degree in nutrition from Syracuse University and completed her dietetic internship at Strong Memorial Hospital in Rochester. Early in her career, she served as a clinical and outpatient nutritionist for Lenox Hill Hospital and Jamaica Hospital Medical Center. 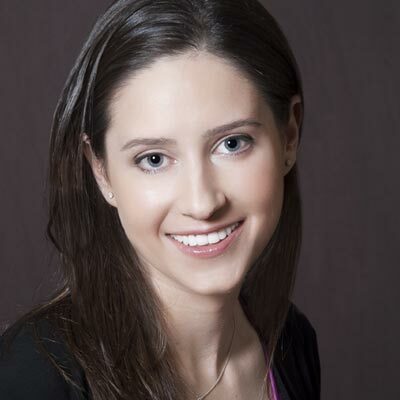 She is a registered dietitian with the American Dietetic Association and a NYS Licensed Dietition-Nutritionist. Sophia specializes in all types of eating disorders, gender, and age groups, using an individialized approach to improving one’s relationship with food,as well as body image. She has completed the Eating Disorder training program through the Renfrew Center. Sophia has extensive experience including Anorexia, Bulimia, Binge Eating Disorder, Compulsive Excercise, laxative abuse, Body Dismorphic Disorder, Night Eating Syndrome, and emotional eaters. Counseling style is customized to specific needs and goals. Sophia also works collaboratelly with entire treatment team toward recovery. Sophia maintains professional affiliations with The Academy of Eating Disorders (AED), The Binge Eating Disorder Association (BEDA), and is a member of the Hellenic Medical Soceity. Other specialties include gastrointestinal issues, cardiovascular health, endocrine disorders, and weight management. You can expect a personalized, supportive and empowering approach during sessions. She has been featured in several national magazines, including In Touch, Shape and Men’s Fitness. She was a consulting nutritionist for Trader Monthly magazine, and consulting nutritionist for the New York Parkway Weight Loss Center. 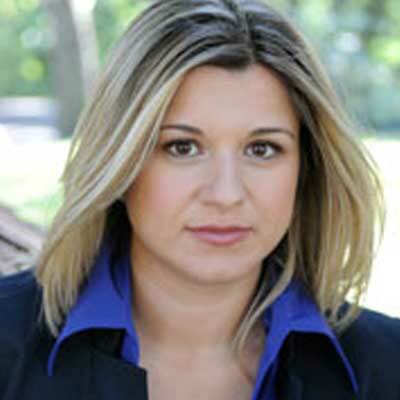 Sophia has been on Cosmos FM, the Hellenic radio station, the New York Post, CBS, DailyFinance.com. She is a contributing Nutrition expert for various online publications including, everydayhealth.com and celebrityhealthfitness.com. She has over 15 years of counseling experience and is also fluent in Greek. Shana Maleeff MA, RD, CDN, ACE-GFI, received a BS in Nutrition from Penn State University and an Masters in Nutrition Education from Immaculata University in Pennsylvania. She is a registered dietitian with the Academy of Nutrition and Dietetics, and a NYS Certified Nutritionist. Shana has spent most of her career as a nutritionist working with patients on weight management, disease prevention, fitness, and lifestyle modification to help them actualize their best selves. Earlier on, she was also an adjunct professor of nutrition at Philadelphia Community College. Her background includes clinical nutrition at Franford Hospital in Philadelphia, and outpatient nutrition counseling with Berkley Heart Lab, and Quest Diagnostics. She specialized in cardiovascular disease and risk reduction. In addition to nutrition counseling at Nutrition4Life, she teaches group fitness classes, as she is a certified instructor. She also conducts “lunch and learn” corporate classes for our community. Shana has a lifelong passion for health and wellness, and believes in moderation, enjoying life, and finding realistic and practical ways to achieve your goals. Gabriela Levin Pick MS, RD, CDN, graduated from the Universidad Iberoamericana (Mexico City) with a Bachelor of Science in Nutrition and Food Science. She went on to complete her dietetic internship at ABC Medical Center. Gabriela pursued her Masters in Applied Nutrition at Northeastern University. She is a Registered Dietitian with the Academy of Nutrition and Dietetics and a NYS Certified Nutritionist. Early in her career, she joined the Centro Especializado en Diabetes (CED), a medical center providing nutrition therapy for various medical conditions for adolescent and adult populations. She also assisted in medical nutrition research looking at the affects different treatments have on biomarkers for insulin resistant, prediabetic, and diabetic out-patients. Additionally, she worked with a team at a multidisciplinary center to provide pre and post-bariatric nutritional counseling to adults undergoing bariatric surgery. Gabriela’s interests include weight management, medical nutrition therapy, and assisting patients in cultivating a healthy relationship with food. She received certified training in “Adult Weight Management” through the Academy of Dietetics. Since moving to New York, in addition to counseling at Nutrition4Life, she loves to explore the culture and finds it difficult to resist a good Broadway show. 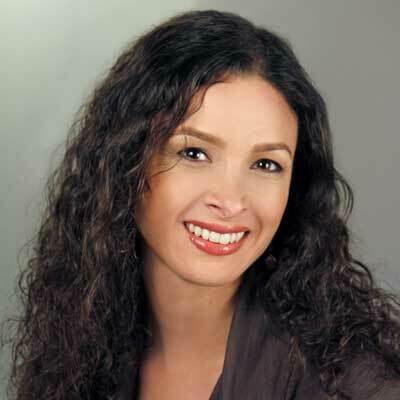 Gabriela is fluent in Spanish, and brings compassion and motivation to her counseling sessions. Shelley Wishnick RD, CDN, CDE received a Bachelor of Science in Nutrition from Indiana University – Bloomington. She went on to complete her dietetic internship at New York-Presbyterian Hospital. She is a Registered Dietitian with the Academy of Nutrition and Dietetics and a NYS Certified Nutritionist. She is a Certified Diabetes Educator with the National Certification Board for Diabetes Educators. Shelley’s background includes working in critical care and extensive experience counseling, including working along a team of endocrinologists. She has worked at Suny Downstate Medical Center, Beth Israel, and Mount Sinai outpatient settings. She specializes in diabetes management, providing counseling to those with type 1, type 2 and gestational diabetes, to achieve optimal glucose control. Shelley’s other areas of expertise include weight management, pre/post natal nutrition, cardiovascular disease, hyperlipidemia, and digestive disorders. Shelley is the Chair of the Public Relations Committee for the Greater New York Dietetic Association. She conducts cooking demonstrations and leads nutrition education classes. She has been a contributing nutrition expert on NBC, ABC and Sirius XM Doctor Radio, and has been quoted in nutrition-related articles. Shelley will assist you in leading a healthy lifestyle without dieting.